This mix pattern patchwork cardigan from Maridruna is stylish and comfortable,with long sleeves,an open front with interesting dual tie-front closure and a big hood. Enjoy this cozy hand knitted cardigan every spring,fall or winter day and look ultra sophisticated. 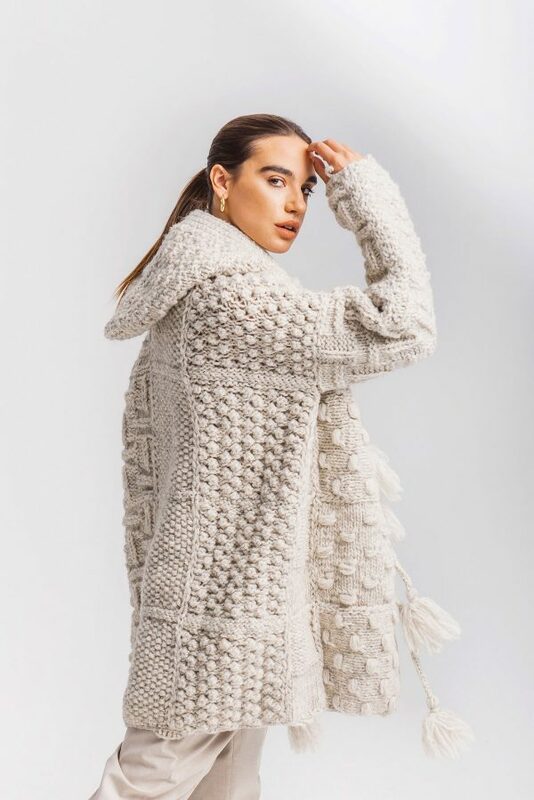 This chunky cardigan is a perfect present for your friends or relatives-lovely,practical,unique.